Let me start by saying that the staff at Palo Alto Bicycles in Palo Alto, CA, are very friendly and helpful to my initial contact with them. I found them easy to chat to. (Not with, to) I was looking to order a specific bicycle model from the Trek website but I wanted to make sure I was getting the right sized bike. When I went to Palo Alto Bicycles (PAB) to get sized up, I explained to the person I was talking to that I wanted a specific model, that I have neck issues so I can't lean as far forward as most, and what's the best size frame for myself, etc., etc. I really wanted to make sure I was on the right track. He sat me on a bike, declared what was the right size for me, and without much more guidance or input, sent me on my way. I bought the Trek model bike I wanted online and had it delivered to PAB. PAB sent me an email saying they would be receiving my bike. I asked that if I brought a few components with me, could their service department hook these things up while I waited. They said "it should be no problem." The following week I went in to PAB to pick up my new bike. They adjusted the seat up by quite a few inches then we went back to the service department to add the components I had brought in with me. This is when things started to go not as expected. My man brought me back to the service department where we asked him if they could add the two items that I brought with me while I waited. The smug, disapproving look I received from the service department guy pretty much erased all good will I had been building up towards PAB. The man said it would be a few days minimum before he could get to my request. The tone in his voice was laced with a ton of disdain for my brash request. One part of me understands his attitude considering they're based out of Palo Alto, where the locals can have very high expectations of stores who sell services. But then part of me sees that the man in my email chain over-sold what could be done for me or there was no communication between my email contact and the service department. I decided to take my new bike with me and look at having someone else do things to it. As I started to ride away from PAB I realized just how wrong the setup on my new bike was as my neck started hurting almost immediately and I was wondering what the hell did I miss or what PAB did not tell me. I went back to PAB to modify my handlebar stem but I soon discovered that the handlebar stem is NOT adjustable. Damn. 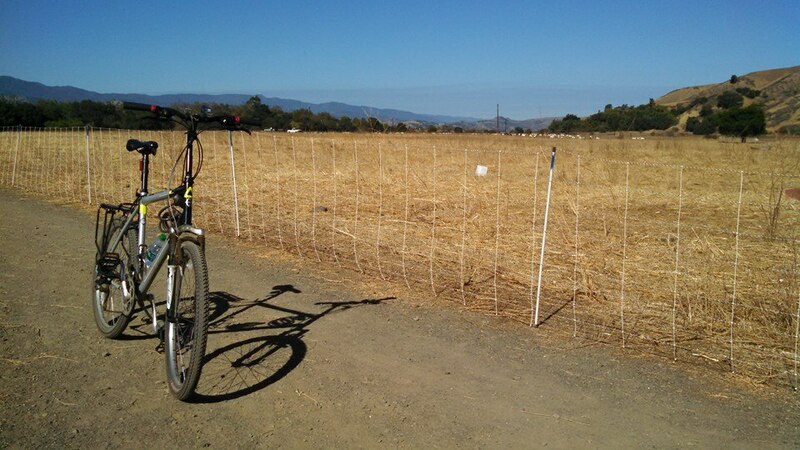 I went to another Trek retailer in Redwood City called Chain Reaction Bicycles (CRB), and after spending some quality time asking me questions and what not, we learned what I really needed to make the bike I bought fit me properly. I was also informed that the model I had bought probably was not the model best for me, considering my requirements or limitations forced on me by my neck. But PAB never once said a word about that. They let me leave after sizing me up and never suggested anything like what the good staff at CRB did. In fact, some years ago, I had visited a popular bike shop in Menlo Park, and with my new-found knowledge imparted on me by CRB, I'm thinking I'm somewhat miffed with them too. So I don't believe I will ever have the strong need to return to PAB but after all the fantastic information that CRB gave me, they gained a long-time consumer out of me for it.